Pamela Duncan Edwards and Henry Cole have created an alliterative tale that will have children snorting out loud at the surprise ending for this very smug slug. Detailed illustrations include a hidden “S” on every page. 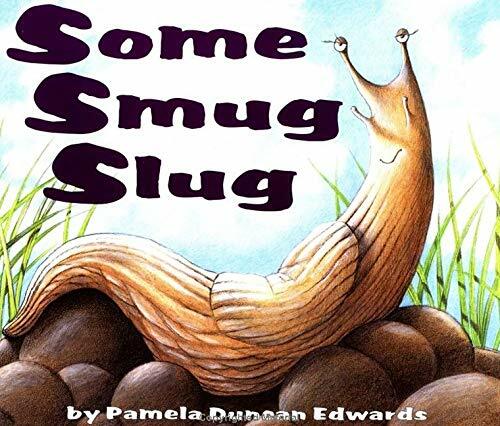 Pamela Duncan Edwards and Henry Cole have created another alliterative tale that will have children snorting out loud at the surprise ending for this very smug slug. Pamela Duncan Edwards is the author of numerous popular picture books, including Livingstone Mouse; Roar! A Noisy Counting Book; Some Smug Slug; The Worrywarts; Clara Caterpillar; Wake-Up Kisses; Rosie's Roses; The Leprechaun's Gold; and Gigi and Lulu's Gigantic Fight, all illustrated by Henry Cole; as well as Dear Tooth Fairy, illustrated by Marie-Louise Fitzpatrick; McGillycuddy Could!, illustrated by Sue Porter; and The Neat Line, illustrated by Diana Cain Bluthenthal. She lives in Virginia.